Monthly Member Club Meetings are 2:00 PM the second Sunday each month. 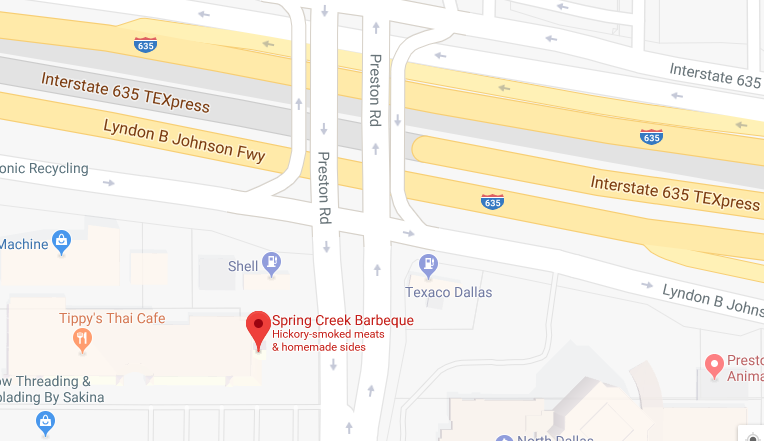 We meet at Spring Creek BBQ 12835 Preston Road, Dallas TX 75230. We'll talk shop, share stories, announce events, and conduct club business. Bring your car to the meeting and you might win a prize! Monthly Board Meetings are 8:30 AM the first Saturday before the second Sunday of each month. The board meets at Charlie's Old Fashioned Burgers Suite 113, 604 TX-78 Farmersville TX 75442.